Meatballs are so good on pasta and even on it's own as an appetizer. 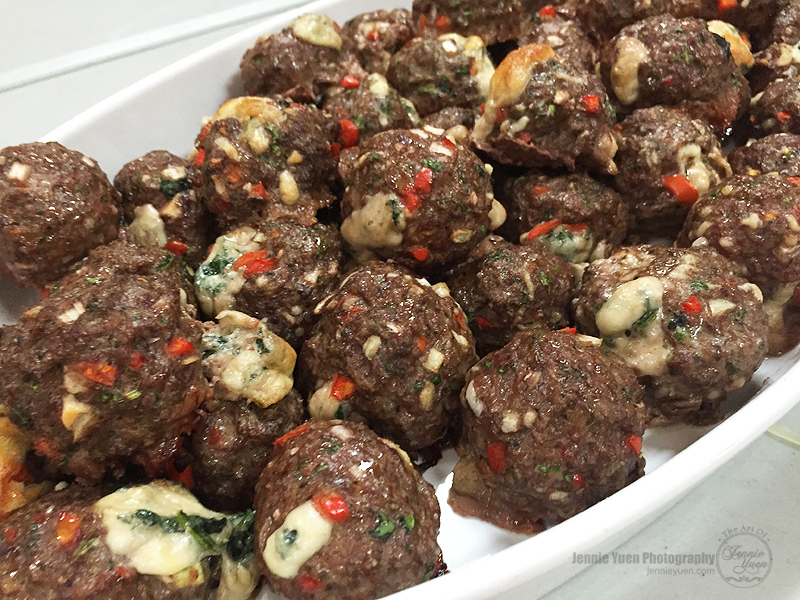 I have a recipe here you can make that comes with a cheesy surprise and fresh spinach in the middle. The ingredients listed doesn't tell you what amounts to use, but you can estimate and depending how much meat/meatballs you want to make. 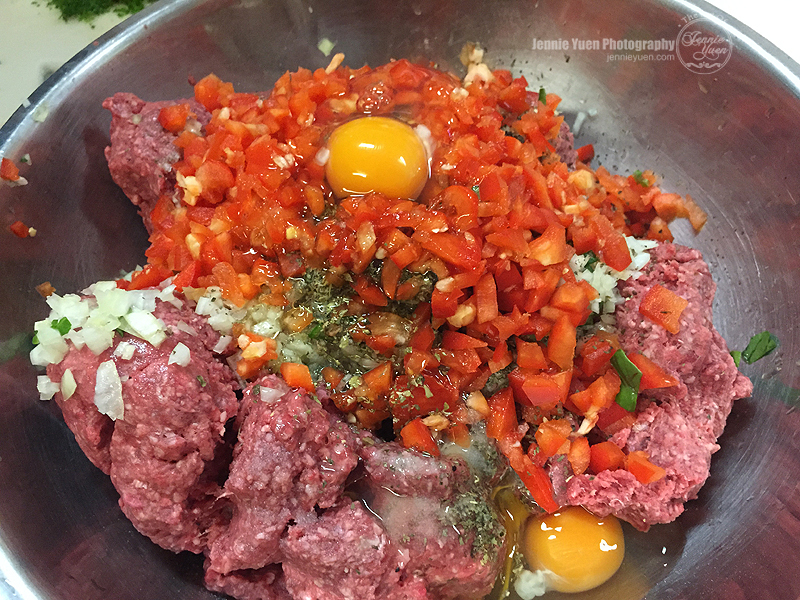 2) Mix all ingredients for Meat Mixture in a large bowl and set aside. 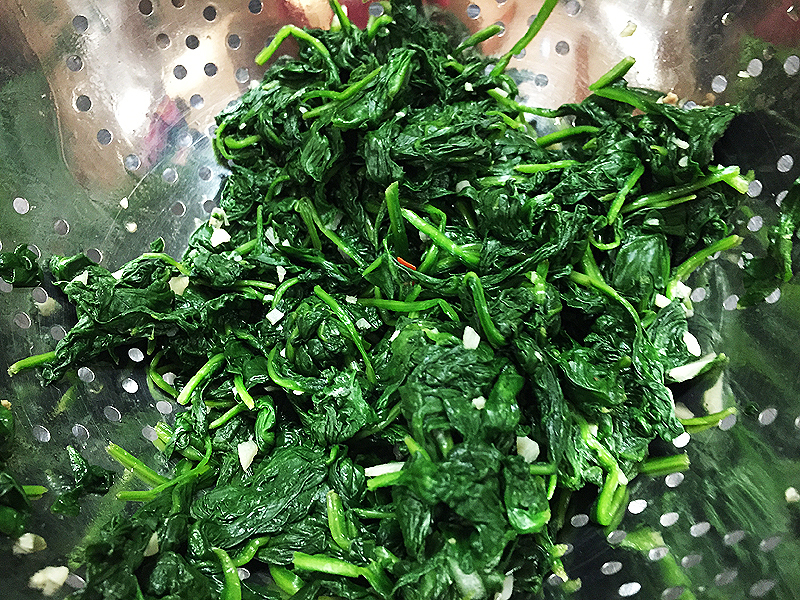 3) Sautee spinach and garlic until spinach is wilted. Transfer to a colander to drain and cool. Once cooled, squeeze out as much water as you can. Chop spinach and mix with mozzarella and parmesan. 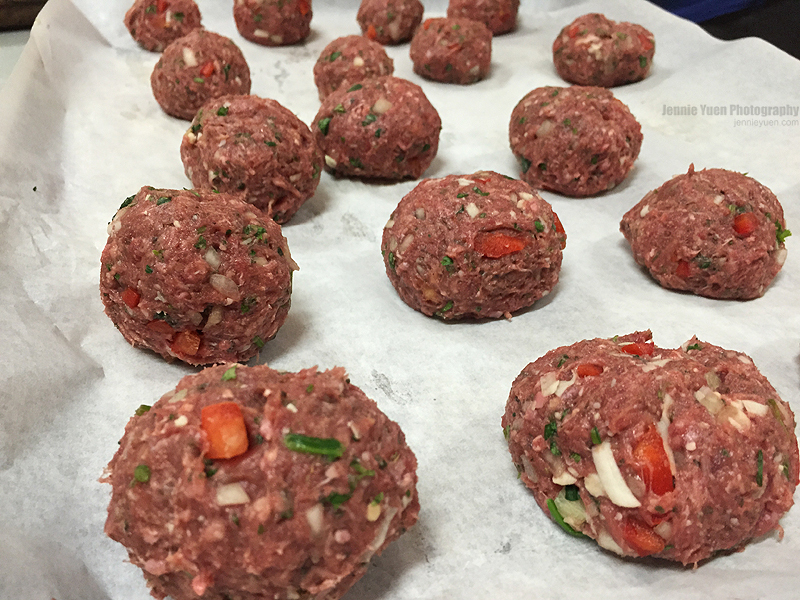 4) Form meat mix into balls and place a small amount of filling inside. 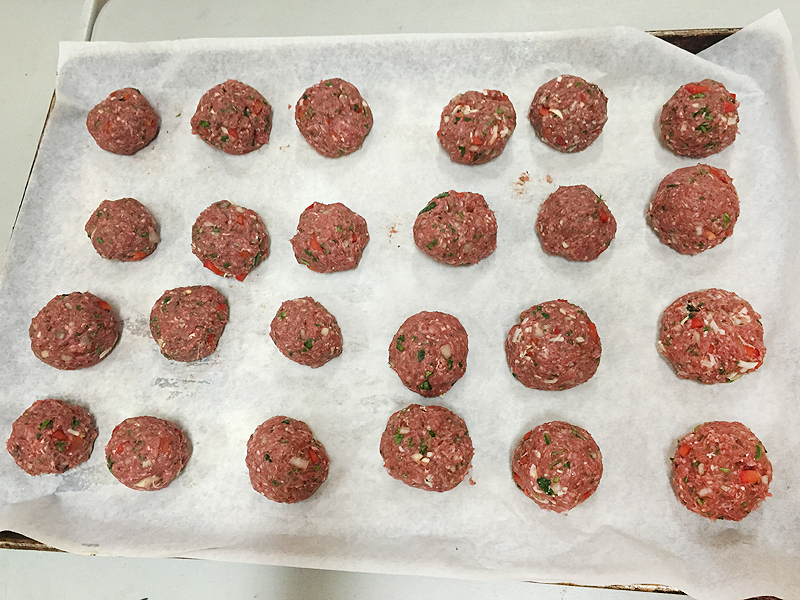 5) While meatballs are cooking, heat tomato sauce, oregano, salt, pepper, and sugar in a small saucepan. 6) Serve with tomato sauce for dipping.